Summer is here already. Have you prepared yourself to face the scorching heats of the sun this summer season? Of course one of the most important things that one should take care of during the summers is the skin. The sunscreen lotion is one such a product that reflects the sun’s ultraviolet radiation, thus protecting the skin from sunburn, tan. Although sunscreen lotions are the popular beauty products among all of us, we often get obliged about which sunscreen lotion to use. 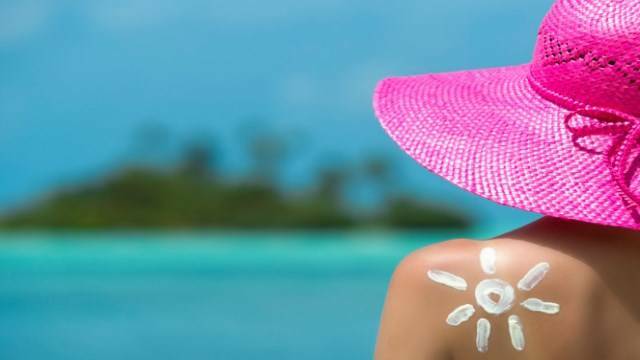 So, here we present you a list of some of the best sunscreen lotions that you can choose to use on your skin this summer. The amazing product that protects your skin from the powerful skin-damaging sun rays will become your best friend all through the summer season probably. It is a very personal decision when it comes to choosing a sunscreen lotion. To be honest, there is not any best sunscreen lotion which I can recommend you. Below is the table which shows the top 10 best sunscreen lotion to protect your skin from the Sun. Each and every sunscreen lotion is chosen by our specialist reviewers. Well, now without wasting any further time, let’s jump on to our top 10 best sunscreen lotions list. This sunscreen lotion from the popular brand Lotus is probably one of the best sunscreen lotions ever. It is also one of the popular products. It gives your skin a nice matte look when applied on your skin. This sunscreen lotion comes with SPF 40 which suits best for the Indian weather. This is another amazing product that gives you the beautiful inside/out perfection. It can help you in perfectly hydrating your skin and protects it from the UV rays. It comes in a light fluid texture which will actually be easy to apply and absorbs into the skin nicely. The product comes in a thick creamy texture and is milky white in colour. This can also be considered as one of the best choices among the sunscreen lotions available in the market. This sunscreen lotion will grab the attention of all the moisturizer lovers and if you are one of them, there are pretty much chances of you choosing this sunscreen lotion. This is another great option of sunscreen lotions available for the skin care enthusiasts. It will suit the best for the people with dry skin. This is another very useful suntan lotion. It is made up of natural Ayurvedic products. It is in fact made out of Aloe Vera. It also contains the oils of sunflower, safflower, white sandalwood. Our next sunscreen lotion in our list of some of the best options is the one from the popular beauty products brand Lakme. It comes in a smooth and soft texture. This is another wonderful option that you can choose to opt for protecting your skin from the sun this summers. The product from the most popular brand Himalaya is another one on our list that you can consider to try for caring your skin this summer. This is yet another interesting and useful option for all those sunscreen maniacs. The last option but not the least one in our list is the one from Cipla. It is a dermatologically tested product. It is hypoallergenic. Stay happy with a hydrated, healthy skin this summer!! !